Anxiety and depression is one of the most common mental disorders in the United States. Approximately 40 million adults suffer from anxiety in the United States alone and according to the National Institute of Mental Health, depression affects an estimated 15.7 million adults. These are staggering sums. 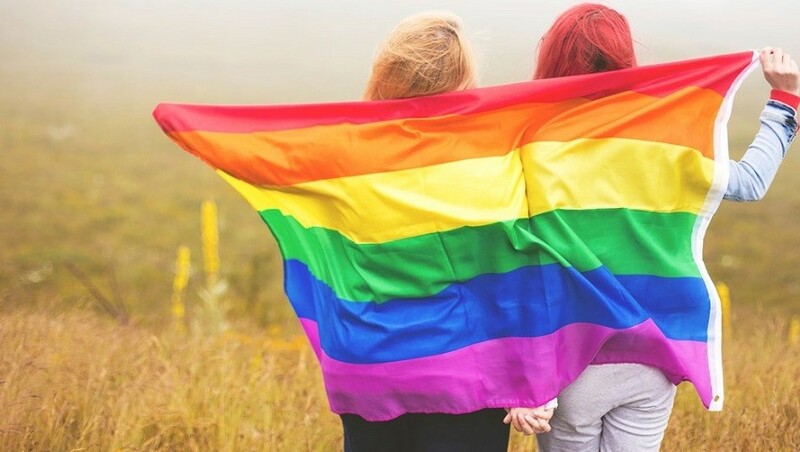 Anxiety and depression affects lesbian, gay, bisexual, transgender (LGBT) and intersex, questioning, queer, and sexuality diverse people at higher rates than the heterosexual population. In fact, 30% to 60% of non-heterosexual people deal with anxiety and depression at some point in their lives. That rate is 1.5 to 2.5 times higher than that of their straight or gender-conforming counterparts. There are several factors that cause these life altering conditions: feelings of invisibility/erasure; victimization from childhood and adolescence; abuse and violence (including physical, mental, sexual or emotional) spurred on from discrimination, societal bigotry and prejudice. Another major reason why non-heterosexual individuals suffer from depression and anxiety is the decision to come out as gay. Coming out is not easy emotionally. Many individuals agonize and suffer unnecessarily. Coming out should be celebrated with happiness, excitement and acceptance and be seen as a positive new beginning. However, in most cases this does not occur. Read below to see our suggestions for easing and overcoming anxiety and possible depression when coming out. Accepting yourself and your sexuality is foremost. This stage usually involves a period of denial, rejection of deep-rooted sexual feelings, anxiety, internal turmoil, counseling, overcoming the feelings of distress and hopefully acceptance. This is an emotional rollercoaster with periods of highs filled with exuberance, confidence and a desire to come out, followed by periods of lows filled with sadness, confusion and fear. You are not alone in this process. The best thing you can do is to reach out to other who have gone through this process. There are generally two types of disclosures, a gentle disclosure and a loud disclosure. The gentle approach is a passive response when individuals are asked about their sexuality. They will affirm when asked. Whereas the loud disclosure is more proactive. It involves telling everyone and anyone in order to leave absolutely no doubt about the issue. Whichever method you choose, make sure it is the right one for you. Socialization with others in a similar situation is very important. Reach out to online groups or support forums in the community. Interacting with other LGBT and intersex, questioning, queer, and sexuality diverse people is important when accepting your sexuality. It will help you feel included and have a sense of belonging, minimize feelings of loneliness and despair and give you the support that you need. It is important to seek out positive homosexual relationships in order to find reassurance, support and love from another human being. Once you have come out and have accepted your new status and your own sexuality, you will experience a sense of openness. At this stage, you can reach out and help support others with their own struggles. It is now about giving back.